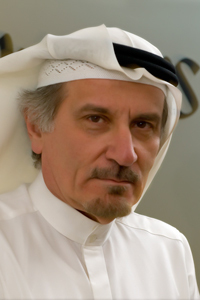 Dr. Ahmed bin Abdullah Al-Banyan is the first Dean of King Abdullah Institute for Translation and Arabization, and the former Founding President of the Saudi Association for Languages and Translation. Dr. Al-Banyan is also the former Dean of the Al-Imam Mohammad Ibn Saud Islamic University’s (ImamU) College of Languages and Translation, where he was the first to hold this position. He obtained a Bachelor Degree in Arts (English Language) from ImamU. He earned a Master’s Degree in Linguistics from Indiana University Bloomington (USA), and a PhD in Linguistics from Michigan State University (USA). 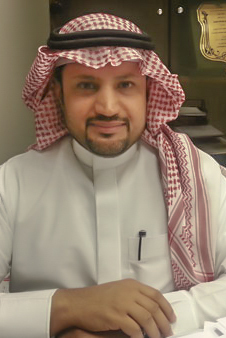 Dr. Al-Banyan is currently a member of the Official Translation Department of the Board of Experts at the Council of Ministers (KSA), a member of the Scientific Panel of the King Abdullah Bin Abdulaziz International Award for Translation, and a member of the Translation Panel of the KSA Ministry of Culture and Information’s Arabic Magazine. Dr. Al-Banyan has authored and translated several translation-related works, supervised a number of academic dissertations and delivered papers in many conferences. Khaled Almaeena is a founder and co-chairperson of NAAM Association. He is a managing partner of quartz. He has held a broad range of positions in Saudi media for almost thirty years, including CEO of a PR firm, Saudi Television news anchor, talk show host, radio announcer and a journalist. Almaeena also held a series of senior positions in Saudia Airlines. As the Editor-in-Chief of Arab News, the largest English-language newspaper in the Middle East, Almaeena steered the newspaper through the Gulf Crisis and pioneered bringing the newspapers back to a liberated Kuwait. Under his direction, the newspaper was the first to send a Saudi reporter to Iraq to report extensively from the front lines in 2003. As a journalist, Almaeena has represented Saudi Media at Arab summits in Baghdad, Morocco and elsewhere. In 1990, he was one of the four journalists who covered historic resumption of diplomatic ties between Saudi Arabia and Russia. He also traveled to China as part of this diplomatic mission. Highly regarded for his views, Almaeena’s political and social columns appear in Gulf News-Dubai, Asharq Al-Awsat, El-Eqtisadiah, Arab News, Times of Oman, Asian Age, Al Arabia, Makkah and the China Post. His interest in sports attracted him to the successful promotion of squash and tennis tournaments in the Kingdom. In 1982, Almaeena became the Editor-in-Chief of Arab News. He stepped down in 1993 to head the Saudi Public Relations Company (SRPC), a position he held for five years. He returned to the top editor’s post of Arab News in 1998 and continued until October 2011. In April 2012, he joined as the Editor in Chief of Saudi Gazette, English daily published from Jeddah and continued in the position until the end of April 2014. He was educated in Pakistan and USA. Mr. Almaeena was awarded the highest civilian award Sitara-e-imtiyaz (Star of Excellence) by the government of Pakistan in January 2009. Almaeena is fluent in English, Arabic and Urdu. The unprecedented population movements witnessed over the last few decades have given rise to new types of social phenomena, the most serious of which is the language barrier that the displaced people face when they move from their home country to another one. Interpreting in the field of public services (also known as "community interpreting") has emerged as a means to address miscommunication resulting from the need to translate vital information from one language to another. In the present lecture, I will discuss certain key initiatives undertaken in this particular type of interpreting worldwide. Furthermore, I will put forward a few suggestions to follow up on the course of these initiatives on both academic and professional levels. Anna Gil-Bardají holds a Ph.D. in Translation Studies. Since 2001, she lectures Arabic language and translation from Arabic to Spanish and Catalan at Universitat Autònoma de Barcelona (UAB), Spain. She also lectures interpreting in public settings in the Official Master in Translation, Interpreting and Intercultural Studies (UAB), and Arabic language and literature in the Master in Arab World at Universitat de Barcelona (UB). 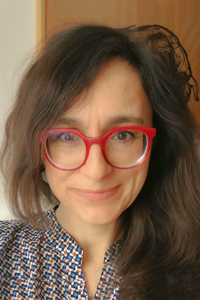 In the last years her research has focused on discourse analysis in translation from Arabic to Spanish and in Translation and Interpreting in Public Services (TISP). She has translated several books from Arabic and French to Spanish and Catalan, and published many articles on translation theory, Critical Discours Analysis (CDA) and community interpreting. Some of her publications include: "Traduir al-Andalus” (Edwin Mellen Press, 2009) She is an active member of MIRAS research group and TRAFIL research group. She is also the coordinator of the Master in Contemporary Arabic Studies (UAB). Audiovisual translation is as old as cinema and an indispensable element in the production and distribution of films, amongst many other types of audiovisual content. However, this importance is yet to be acknowledged by the film industry, for which it remains largely invisible. The same holds true for audiovisual translation studies, which have come of age and consolidated as a discipline in its own right within translation and interpreting but which have traditionally been overlooked by film studies. The aim of this talk is to discuss the impact that audiovisual translation has had on society ever since it was introduced at the beginning of the 20th century, its current role and the challenges that it faces in the near future to achieve the visibility and recognition that it deserves as a way to fulfill its full potential. Pablo Romero-Fresco is a Ramón y Cajal grantholder at Universidade de Vigo and Honorary Professor in Translation and Filmmaking at the University of Roehampton (London, UK). He is the author of the book Subtitling through Speech Recognition: Respeaking (Routledge) and the editor of The Reception of Subtitles for the Deaf and Hard of Hearing in Europe (Peter Lang). He has collaborated with regulators, broadcasters and associations in different continents to improve access to TV and live events for people with hearing loss. 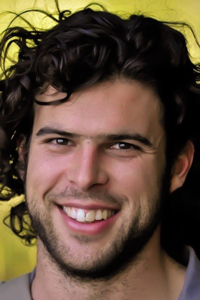 He is the leader of the EU-funded Media Accessibility Platform project (COMM/MAD/2016/04) and a member of the research group Transmedia Catalonia, for which he coordinated the subtitling of the EU-funded project DTV4ALL. Pablo is also a filmmaker. His first documentary, Joining the Dots (2012), was screened at the 69th Venice Film Festival and was used by Netflix as well as schools around Europe to raise awareness about audiodescription.